Mr. Phillips is experienced in product engineering design, development, and manufacturing. From the 1980s, building upon a career as an engineering and manufacturing executive, he has helped more than 200 clients in Silicon Valley and beyond to improve their products, lower their costs, and support their litigation. His tenure in line and staff corporate positions has given him a unique vantage point from which to investigate and solve design and manufacturing problems. 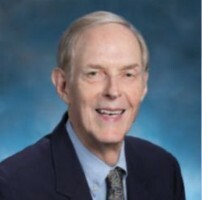 A graduate of Caltech (BS and MS), Mr. Phillips has more than 40 years of product-design and manufacturing-industry experience as a consultant, an engineering and multi-plant manufacturing executive, an engineering manager, a product designer, a technician and analyst, and an expert witness in litigation, particularly in intellectual property, such as patents and trade secrets, and contract disputes. Mr. Phillips' technical expertise includes industrial and consumer products, electronics products, medical and scientific instruments, machinery, and chemical-process equipment. - Developed and introduced to production the first mass-produced product to use the diode laser. Pioneered the one-man alignment laser, marketed worldwide by Nikon. - Analyzed manufacturing yields and guided wide-ranging design changes to improve manufacturing and reliability of implantable artificial heart. - Designed plastic submersible pump which achieved #1 market share through Sears, Roebuck. Half the cost of competitive models. Patented. - Designed ultrasonically-welded plastic cassettes for analytical gel. Cassettes met stringent criteria for flatness and cost. - Improved cooling and thermal stability of analytical instruments, to ±0.1 C, setting new standards of analytical accuracy. - Investigated engineering and manufacturing operations of new ventures in due-diligence teams on behalf of investors. - Created and taught course in materials and processes to graduate and undergraduate students of product and industrial design. - Designed cryogenic probe to treat prostate cancer using minimally-invasive surgery. - Developed high-voltage high-power resistive divider for fusion-energy research at national laboratory. - Developed new-product introduction procedures for company experiencing growing pains. Recruited and staffed key engineering positions. - Established and installed engineering-change (eco) procedures which eliminated production bottlenecks typical of fast-growing companies. - Surveyed operations of plant fabricating heavy steel structures. The recommended changes returned the plant to profitability. - Advised data-communication-equipment manufacturer on restructuring the engineering and manufacturing departments following acquisition of a company twice its size. - Coached senior vice president of prominent disk-drive manufacturer on company-wide strategies for cost management. - Served as interim Vice President of Manufacturing, Manufacturing Manager, Manufacturing Engineering Manager, Vice President of Engineering, Engineering Manager, or Project Manager for companies in startup or transition. - In a "get-well" team, helped manufacturer of packaging machinery introduce effective systems to operate the engineering and manufacturing departments and respond to orders. A graduate of Caltech (BS and MS), Mr. Phillips has more than 40 years of product-design and manufacturing-industry experience as a consultant, an engineering and multi-plant manufacturing executive, an engineering manager, a product designer, a technician and analyst, and an expert witness in litigation, particularly in intellectual property such as patents and trade secrets, and contract disputes. - Development Engineer at Joy Mfg. Annually he judges product-design contests: “R&D 100” (R&D Magazine) and “Create the Future” (Tech Briefs). Mr. Phillips has been retained by some of the continent’s largest law firms as well as local counsel, and he has assisted in litigation by major corporate clients, including Curtiss-Wright, Energizer, Foxconn, Hewlett-Packard, Kodak, Kyocera, LG, Lucky Stores, Mott, Nellcor Puritan Bennett, Nibco, Rayovac, Remington, Ricoh, Samsung, Schick , Sears, Sony Etak, Stanley Black & Decker, Tatung, and Tokyo Electron.